Home > otomotif > Car Nicknamed Baby this stretcher F1 Technology ! Hay Bro Sis...Honda when it seems it was so intense memperoduksi new models to fill the ranks of automotive cool to see the future. Reportedly, heard some news that its source is still a mystery related Honda is developing a car that was called "Baby" Honda NSX. According to a leaked from Auto Express claim the development of "Baby" is being done by Honda plans to make debut in 2018 with frills Hybrid. 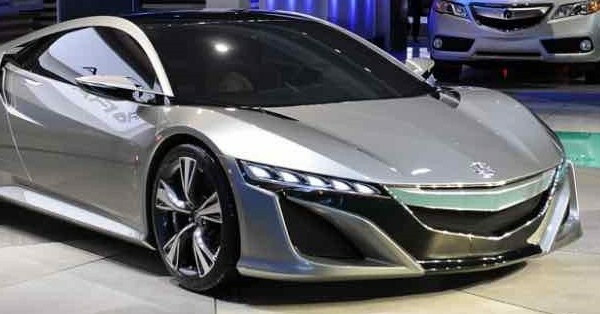 Indeed, since a few months ago has begun to gradually appear some design patents mysterious featuring a second model of the generation NSX sized smaller, the appearance is quite shocking virtual universe, thus sparking rumors of a possible new sports car made by Honda as the shock of the S2000. Some media, it has been stated that Honda is planning to carry a 2.0-liter engine, but apparently it is actually a misnomer because apparently Honda has decided to switch to a 1.5-liter turbo engine in order to comply with more stringent emission standards. According to some observers, the possibility that meant motors is presently in the development of a motor that is still in a set that will be procured at the tenth generation Civic cars due to a greater boost power. It will also work on an electric motor which is also believed to develop combinations that achieve the power output to 300 hp. As for this S2000 will only be offered as a roadster, "Baby" NSX is also likely to be manufactured and sold exclusively as a coupe. The car is also in the early phase of development with the help of McLaren. News the presence of the "Baby" were considerable attention, because in terms of the leaks that seem at first glance this car will look petite and uniquely different with other sports cars. However, it is of the Honda itself is still not provided a description and further information. For that we be patient until Honda spoke himself about these rumors.